Welcome to our regular round-up of the best hotel promotions currently running. Apologies that this edition is a little later than usual. All of the information in this article can also be found on our ‘Hotel Promos’ page which contains details of all of the current offers, together with links to our major articles on each hotel scheme. However, a positive response from readers – especially our 11,800 email subscribers – means I am now running this monthly article as a handy summary of what is going on. Where should you credit your stays in July? The promotions are falling away as Summer begins. The current Starwood and Marriott offers end on 20th July, and I have only briefly included them here because registration is closed and you needed to do three stays to qualify. IHG’s current Accelerate offer ends on 30th July. Even if you only have one night to book for the next couple of weeks, I would still consider IHG as even one stay should trigger one or possible more Accelerate targets. I would expect Accelerate to be repeated from 1st August but I have absolutely no proof! Hilton’s ‘double points’ runs until 31st August. This is one I am mining this weekend with a stay in Hamburg. Radisson Rewards has also launched a ‘double points’ offer until 31st August but a minimum two night stay is needed. I also recommend you take a look at the current Kaligo.com promotion. Book £1000-worth of hotels in August, for stays until 28th February 2019, and you will receive 20,000 bonus Avios. You must be a BA Amex cardholder to take part. Bookings via Kaligo.com will not earn you hotel loyalty points and you are unlikely to receive any status benefits due. On the redemption front, remember that IHG Rewards Club is offering a 10% discount on the cash element of UK and Ireland ‘points and cash’ redemptions booked by 27th July. Details are here. The new Summer version of IHG’s ‘Accelerate’ is probably the best choice for most people with lighter schedules. As targets are personalised it is totally dependent on what you were offered but you should be able to rack up a significant number of bonus points with just a few nights. The latest round of ‘Accelerate’ began on 1st May and runs until 31st July. This is my article on the offer. Everyone has individual targets, but they are generally fairly easy. You can earn 30,000+ bonus points with the points starting to flow from your first stay. You need to register for ‘Accelerate’ – the link is here where you will also find your personalised targets. The IHG home page is here. IHG Rewards Club has launched a new promotion for ‘points and cash’ reward bookings in the UK and Ireland. If you book before 27th July, IHG Rewards Club members can save 10% on the cash part of a points & cash redemption. See here for details. Until 31st July Head For Points readers will get 5,000 bonus IHG Rewards Club points when booking a stay at the Kimpton De Witt in Amsterdam for check-in dates between now and 31st December 2018. Kimpton De Witt is the first European outpost of the very well regarded American chain that IHG acquired a few years ago, famous for its nightly free wine receptions and other quirks. The 5,000 points are worth £20 based on our current valuation of 0.4p which makes this a lucrative deal especially for one night stays. Importantly, this does NOT impact any other promotion. You will also get your points for the current Accelerate promotion on top of the 5,000 bonus points. Here is the Kimpton De Witt homepage if you want to take a look at the hotel, but remember that you must book on the Head For Points special offer page here. Our recent Kimpton Amsterdam review is here. The Hilton offer is very straightforward. You will receive double points on every stay from 1st May to 31st August. There is no minimum stay required and every Hilton hotel is participating. I wrote about Hilton’s double points offer here. You MUST register for the double points offer by visiting this page of hilton.com. The Hilton booking page is here. PS. Remember that, as of 1st April, you can no longer collect airline miles with your Hilton stays. The previous ‘points and miles’ and ‘points and points’ options have been replaced. I wrote more about that here. You must register for the offer – but that is easily done by clicking here. If you can work around the minimum stay and new booking restrictions, this could work out nicely. You would usually receive 20 base points per $1 spent, which would double to 40 base points per $1. Given that I tend to value a Radisson Rewards point at around 0.33p (0.44c) you are getting a return of 17.5% on your spending. If you have Radisson Rewards status – and American Express Platinum cardholders get Gold status in Radisson Rewards for free – you would earn 45 points per $1 in total, meaning a return of almost 20%. The registration page for the double points offer is here. The Radisson Rewards booking page is here. Le Club AccorHotels, the loyalty scheme for Ibis / Novotel / Sofitel / Mecure etc, is not running a global promotion at present. Best Western Rewards is not running a global promotion at the moment. 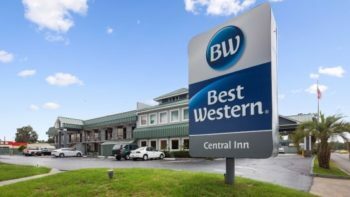 However, Best Western UK has launched a promotion giving guests a £20 Best Western gift card if they stay at a UK Best Western property this Summer. You must register on this special promotion page before booking which means existing bookings are excluded from this promotion. The £20 Best Western gift card will be awarded for stays between now and 3rd September 2018 and is limited to one per person. The Best Western booking site is here. 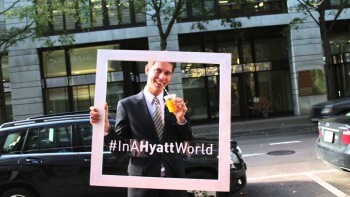 World of Hyatt is not running any global promotion at the moment. The current Starwood offer, ‘More Nights, More Starpoints’, ends on 20th July and in any event registration closed on 30th June. You will earn 250 bonus points per night which I would value at £3.75, but the bonus only kicks in from your third night from 16th April. Full details are in this HFP article. The article includes a link to the list of non-participating hotels. Now that Marriott has acquired Starwood, the two groups are running similar offers. The current Megabonus offer also ends on 20th July and registration closed on 30th June. You will earn 750 bonus points per night which I would value at £3.75. However, the bonus only kick in from your third night from 16th April. Full details are in this HFP article. The Marriott booking page is here. Hotel booking site Kaligo.com has launched a new promotion which can earn you up to 20,000 bonus Avios for hotel bookings made before 31st August. You must be a British Airways American Express cardholder to participate and £1000 of spend is needed to get the full bonus. The bonus you receive is based on CUMULATIVE spending up to 31st August. You don’t have to hit the target in one booking. ANYONE take part, even if they are already registered with Kaligo.com and even if they earned a bonus from a previous promotion. The only condition is that you are a British Airways American Express cardholder. You have until 28th February 2019 to complete your stays. Details of the offer, and the link to register, are here. You will NOT earn hotel loyalty points when you book via Kaligo.com and you won’t receive any status benefits you are due, unless you book at a Marriott hotel where status benefits are honoured. Kaligo.com pricing can also be uncompetitive at time – but fine at other times – so do your homework. PS. If you booking a luxury hotel, remember that we can offer you exclusive additional benefits at Four Seasons, Mandarin Oriental, Peninsula and similar hotels. Click here for details of our luxury hotel booking service in association with Bon Vivant / Virtuoso. Feedback from readers who have used this service so far has been excellent and we have booked over £720,000 of rooms so far. Is it not £1,000 worth of hotels? Where is the £700 coming from? I thought it was £1000, going to have another look. Also I was finding the bonus point offers for NYC up until June 2019. I made 2 bookings today which both qualified for the bonus avios. This implies that bookings must be made in August to qualify! I struggle with a better choice of words! Late night flight to Hamburg … see toothless child on Instagram! 1. Tip that may help some: I was surprised to find that two separate stays at the same hotel triggered the ‘stay two HIE’ target for me this quarter. I had always taken this to mean two differeng HIE hotels but apparently not. I will add one caveat, I booked one stay as a bonus points night and the other on advance purchase rate so it is possible (but probably unlikely?) that the rates made a difference. 2. Does the ‘get the IHG credit card’ target now trigger automatically following a successful applucation or do we still need to chase it up with customer support? Is a successful application enough or do I also need to use the card before 31 July? Exactly the same happened to me. However, app bookings have consistently not been posted. Annoying if you really need to complete an app booking task. I’m just letting this one pass as I’ve had very few problems with Accelerate overall. +1 and the two stays in my case were identical (booked through app, paid on departure, same hotel). Thank you to all of you. That’s really good to know. Have just had stays at the same airport Holiday Inn a week apart, but booked one in my husband’s name because I didn’t think it would work for accelerate if both in my name. Will take a chance in the future. Thanks to Concerto and Crafty for confirming, and that it works even with similar rates. I will now feel more confident to do it again as needed. I mentioned in the original thread that you can improve the “buy price” for IHG points to 20000 for £81, about 0.4p each, using the points & cash promo on a cheap London night. It got my interest as I found the CP Harrogate offers suites at the standard 20k rate so that’s a suite in a decent, not amazing, hotel for £81. Might interest someone. Is that very unusual or are there other CPs offering suites as standard? It is rare but they do pop up at times. They have been reported in comments here sometimes but I cannot recall all the hotels, It would have been useful to create a database. The Indigo Kensington, and also one of the chains at Liverpool Airport are two that spring to mind. Not as good as securing at time of booking, but hoping to get a Suite in a Hilton for 30k via upgrade with Gold next wknd, only booked it last week. Rob – are you doing a review of Hamburg? Probably not as mainly places we’ve covered before. Last year’s accelerate ran from May to 31 Aug. I hope there they are not planning to miss out Aug this year. Fingers crossed. When you transfer SPG to SPG does the balance reduce immediately or after some time when the transfer takes place. I am on my second attempt, even though last week I initiated the transfer to my wife, email received but no transfer took place. seems a lot of hectic / frantic activities are going on at SPG / Marriott. Trying to get a travel package by conbining points but it seems to be taking its own time. If this does not work, I will have to do marriott to marriott for travel package booking when I am ready. Normally you can only do Marriott to Marriott transfer over 50,000 if the points are needed to complete a booking. But they may book package at same time. As a family we have about 200K avios in HHA and just received second 241 voucher. Any ideas on how best to use this voucher on either F or J booking? Also is HKG and Brazil only destination to avoid higher booking surcharges? Vacation for this year is already booked, now looking to get sorted for next year with a Marriott travel package to use as well. I don’t think the Brazil exemption exists or can be used any more. So HKG is the only zero available but other places in the Far East are low: e.g. TYO-LHR is £70 YQ I think. However these savings depend on you booking the inbound leg for full avios and then phoning up to get it “vouchered” (50% back). You don’t appear to have enough avios to do that. you will pay the full UK tax if you buy a return, which you would likely do with a 2-4-1, so the HKG thing is only good for a one-way, but at double the avios compared to using a 2-4-1. There are now two ways to add the inbound to your 241 (assuming you book the outbound as a one way, generally because you are doing so at T-355d). You can call up and have it added, and yes the normal UK fees will apply. Or you can book the inbound online for full 2x avios, at which point you’ll pay the ex-HKG fees; then you call to have it vouchered which gets you a 1x avios refund, but they never combine the bookings or reprice the inbound taxes. Brazil only exempts BR originating and ticketed itineraries AFAIK. If you’re in BAEC UK your booking is ticketed here and a one way for me has £199 YQ. Think BAEC put a pricing mechanism in to catch it, but you are right, on avios.com there’s no YQ so book there if not a 241. Starwood / Marriott have excellent Dubai coverage. 60k Amex is 30k SPG is 90k Marriott so 2 free nights at a top place. Waldorf on Palm is ok but you only have enough points for 1 night on peak date. Thanks, Rob. Any particular property to recommend? Ideally get the free nights and pay for the rest to make up a week’s stay. I am confused as to which is the better card to have, the BA American express Premium plus card at £195 which has a 2-4 -1 deal and 30k miles or the American express Platinum charge card at £450pa which includes travel ins ( I have year round world wide but a medical condition that no -one else is likely to cover) car hire ( which I have year round at about £45 pa) and the priority pass ( I can get into BA lounges if flying with them only as have silver executive membership ). I usually take at least one long haul pa and fly business class so the 2-4-1 might be useful if flying with a friend or family member ( it is usually just me ) and several UK/ Europe trips per year. Plenty of IHG options – Crowne Plaza best, HI Aerial cheapest (single rooms can be £30).